Why use a franchise lawyer? What happens if the franchisor goes bust or sells? Due to the complex nature of franchising, and the fact you may be using your life savings to buy your franchise business, it is essential that you seek assistance from a franchise lawyer when looking to buy a franchise. The biggest mistake anyone can make when buying a franchise is to not seek legal advice. When speaking to those who are having problems with their franchise, not using a franchise lawyer usually crops up in the conversation. Reasons for doing this include “they are too expensive”, “it was a franchise resale so I didn’t need to use one as the previous owner had”, or “it seemed straightforward”. We cannot stress enough how important it is that legal advice is always sought after. Yes it will be expensive but it will be even more expensive for you if your business fails! 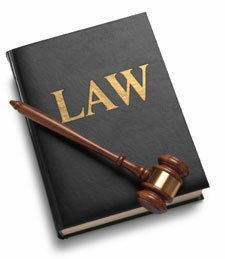 There are many lawyers who are members of the Franchise Council of Australia. These are lawyers who specialise in franchising and so know what they are looking for when going through the franchise agreement. There is no point using the same lawyer you used to buy your house, no matter how good you think they are, as they will not know what they are looking for. Making mistakes like this can be costly in the long run. In our franchise law section we will look at the legal advice you should seek if buying a franchise, the legal steps in the franchise process, why use a franchise lawyer and the franchise agreement. Robert Toth is a Franchise Partner at Wisewould Mahony Lawyers and an accredited Business Law Specialist with over 25 years experience as a business lawyer and consultant acting for Australian Franchisors looking to expand overseas and International Franchisors establishing business in Australia & New Zealand. Corinne is a franchising and retail specialist with more than 25 years franchising and retail industry experience including extensive in-house experience as general counsel with responsibility for over 350 franchised stores. Corinne's approach is outcome oriented and risk management based and combines practical business advice with legal solutions. She acts for primarily retailers, franchisors, master franchisees and multi-unit franchisees. Greg has extensive experience advising companies that distribute goods and services through a network or who exploit brands, technology or intellectual property. He has specific experience in trade practices law, particularly in relation to pricing, supply and market conduct issues and the Franchising Code of Conduct. Peter is a partner of redchip lawyers and heads the franchising and distribution team. He has over 15 years franchising and commercial law experience. He has presented papers on franchising at legal education seminars and workshops, and at public information nights regarding franchising, property and business related issues. Judith Miller is a partner in the Sydney office of DLA Piper Australia and heads the Sydney franchise practice. Her franchising expertise includes advising local and international businesses on the establishment of regional and national franchise systems, and providing strategic advice to established operations.